The Scottish Golf Union appears to be tantalisingly close to getting the green light at the end of next month to amalgamate with the Scottish Ladies Golfing Association. According to a poll conducted by The Scotsman, 11 of the Area associations will almost certainly be delivering a “yes” vote at an extraordinary general meeting, which has been confirmed for 30 March in Stirling. That would leave just one of the other five Areas needing to support the proposal to give it the required two-thirds majority, having already received the unanimous backing of the SLGA membership. Unlike four years ago, when opposition was apparent prior to a 10-6 vote being delivered by the men against the proposal, the mood amongst the Areas is certainly more relaxed as the process edges towards the ballot box once again. However, those that have still to determine their vote have “one or two issues” to discuss with Tom Craig, the SGU chairman, as he undertakes a final push in the bid to get the proposal through by meeting with all of the Area associations by the end of this month. According to our poll, Angus, Ayrshire, Borders, Clackmannanshire, Glasgow, Lanarkshire, Lothians, North, North East, Perth & Kinross and South are all set to back the proposition to bring Scottish golf into line with most other countries around the world. Against it last time around, the Lothians have deemed the new proposal as “fit for purpose” despite it failing to fully address some of its concerns. “We can work with what is there and try to achieve what we’d like once the amalgamated body is in place,” said president Allan Shaw. Wearing his Borders cap rather than speaking as the new SGU president, Jack Keeney said he hoped the process will be “straightforward this time” to bring the thorny issue to an end. “A lot of people are getting fed up hearing about the amalgamation as it has gone on too long,” he added. In fairness, the five Areas unable to say “yes” at present - Argyll & Bute, Dunbartonshire, Fife, Renfrewshire and Stirlingshire - are either waiting to hear back from their clubs or in the process of letting them know their own thoughts on the proposal. In the background, an independent poll initiated by the SGU is trying to get clubs to cast their vote, though Ian Storrie, the Renfrewshire secretary, said he can’t see the purpose in that. “The SGU can use whatever propaganda it wants; the only vote that counts is the one that will be cast by the Areas,” he said. In contrast, Perthshire is urging its clubs to take part in that poll. “We are asking them to engage with the process rather than sitting back,” added McLevy, expressing a sentiment shared by others, including the aforementioned Craig. “This is a great opportunity for them to say what they think,” said the SGU chairman. While certainly taking nothing for granted, he has been heartened by seeing the SLGA members vote 204-0 in favour of the proposal, as well as the Lothians adopting its stance of support on this occasion. “Even though we had a good feeling, you never know how things are going to pan out and I think even the ladies themselves would be surprised that it was a unanimous vote last weekend,” said Craig. “I was also absolutely delighted to hear that from the Lothians. They are a big part of Scottish golf. It’s not just the Lothians that have given me that kind of message from the Areas. There’s a groundswell of support and it is really encouraging. “The message I’m getting generally is that the process has involved with everyone with an interest and clearly the Areas have a big interest in Scottish golf and a huge role to play in the future of Scottish golf. It doesn’t take a genius to work out that the SGU is using the independent poll to try and get the clubs to come out with a comprehensive “yes” vote, which would leave the Areas having to follow suit given they, of course, are governed by the clubs. It’s not that long ago, however, that lots of clubs moaned about the SGU due to a perceived lack of support in their direction from the governing body, something that has improved but, according to Craig, still needs to get a lot better. 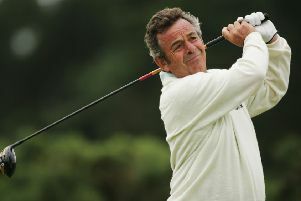 “The clubs are what really matter in Scottish golf - they are the engine through which we can regenerate the participation in golf in Scotland so we want to know what they think,” he added. Will the SGU’s vote be “yes” this time? It has to be and the Areas know that. One or two might still deliver a “no” on 30 March but, finally, we should be able to move on and look forward to a new era in Scottish golf.